Earlier this week, we talked about the new 2016 Tucson with our first-drive impressions of the vehicle. They were quite favorable and gave us reason to believe that a new benchmark for the small crossover segment was at hand. We still believe that, though there are rivals who will likely want to take the same title. 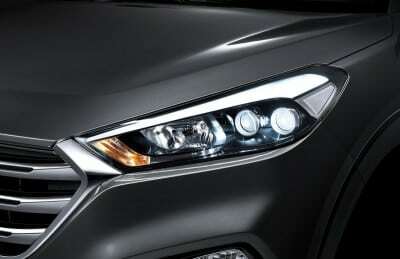 Today, we want to get more in-depth with the 2016 Hyundai Tucson and give more details about this all-new crossover. 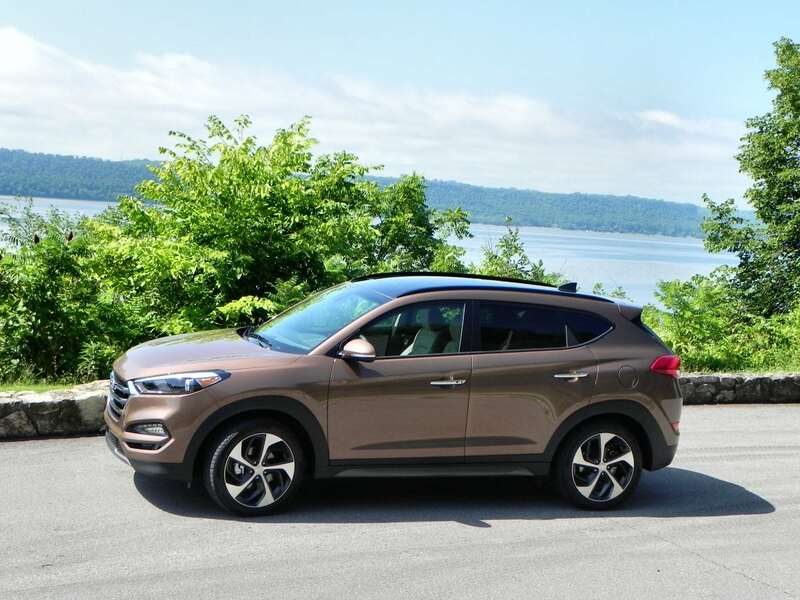 As part of our introduction to the Tucson in Minneapolis, we drove two different trim levels, including one with the new all-wheel drive system and one with just front-wheel drive. Our driving companion was Jeff Hester, who is not a “car guy” or automotive journalist, but instead a hiking enthusiast from Southern California. 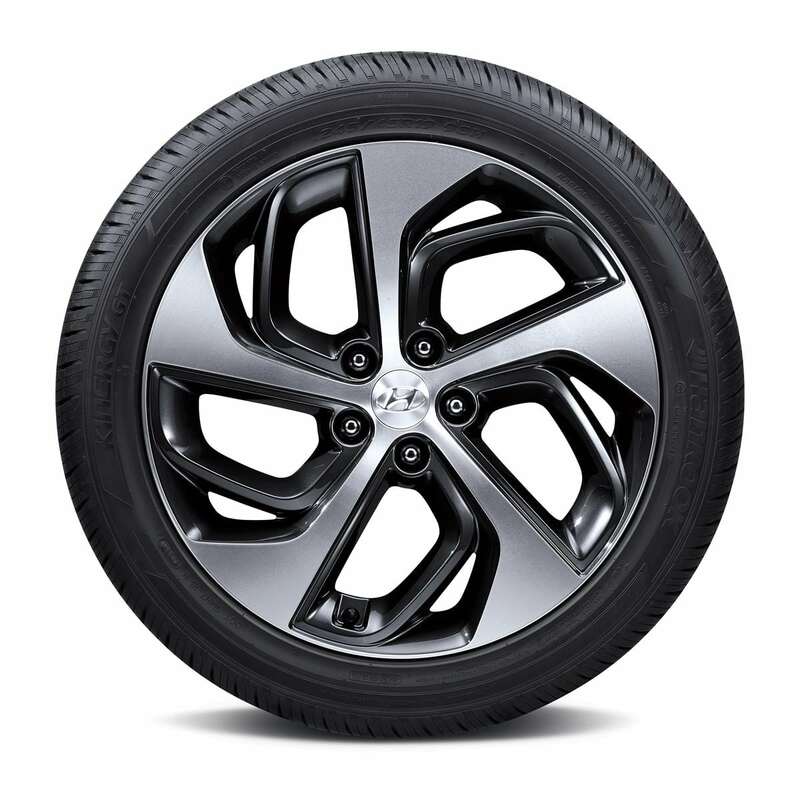 You can read what he had to say about the 2016 Tucson on his blog. Be sure to check out the awesome “blasting the puddle” video he took as well as the sexay photo of myself testing the cargo space in the new Tucson. Having a non-car person as a driving companion was enlightening as it gave me the chance to really become an expert on the new Hyundai so that I could explain it to someone who wouldn’t be as inclined to get as nuts-and-bolts about the car as I would. This is a rare thing for me and made the trip to Minnesota all the more worthwhile. 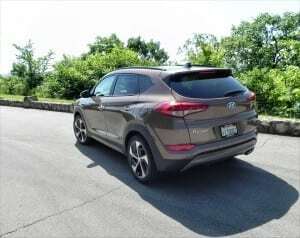 Couple that experience with the time I spent with Hyundai VP Jim Trainor and Senior Group Manager Brandon Ramirez discussing the many updates and changes made to the new Tucson and I became a bit of an expert on this new crossover. 51% advanced high-strength steel, far more than it had before (18%). Vehicle is 3 inches longer, 1.1-inches wider, and gains 1.2 inches in its wheelbase. New turbocharged engine with better output, fuel economy. 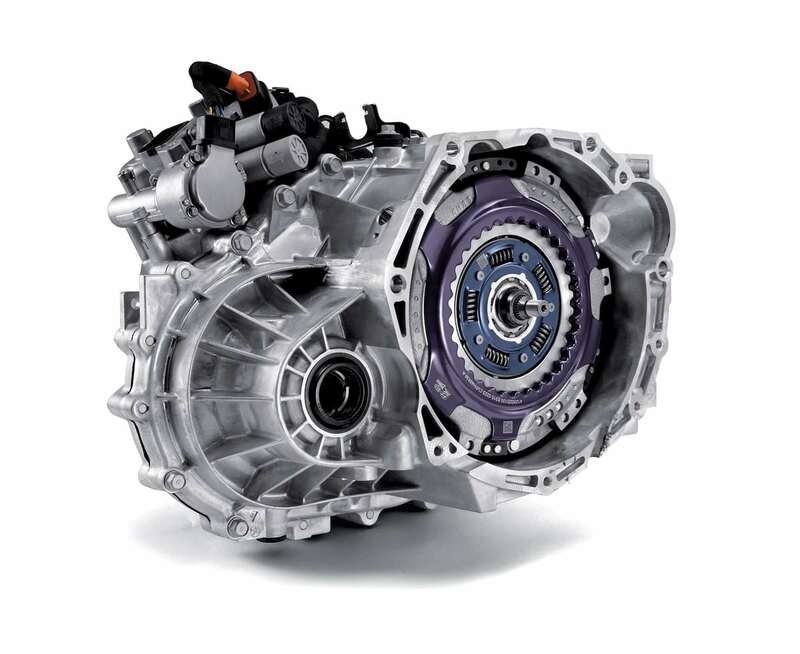 New dual-clutch transmission to match that turbo engine. Interior cargo space jumps over 5 cubic feet from last generation (now 31cf). The engine is a new 1.6-liter turbocharged, direct-injected four-cylinder that produces 175 horsepower and 195 pound-feet of torque. The best part is that peak torque delivery happens at only 1,500 rpm and holds through to 4,500 rpm. 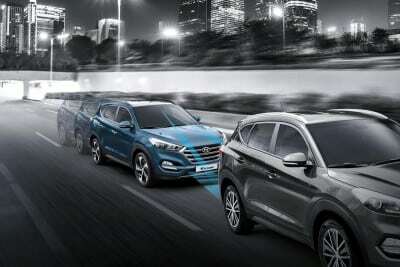 This means a lot of performance very quickly and it really shows in the new Hyundai Tucson. The engine’s turbocharger features low inertial turbo-spooling response and an electronic wastegate control for precise control of manifold pressure. A water jacket insert prioritizes cooling in the upper level of the cylinder block where most of the combustion heat is generated, lowering cylinder head temperatures to allow for leaner air:fuel mixtures for better fuel efficiency. This 1.6L engine and its 7-speed dual-clutch transmission partner achieve up to 26 mpg in the city, 33 mpg on the highway and 29 mpg combined (up 5 mpg from the 2.4L engine this one replaces). 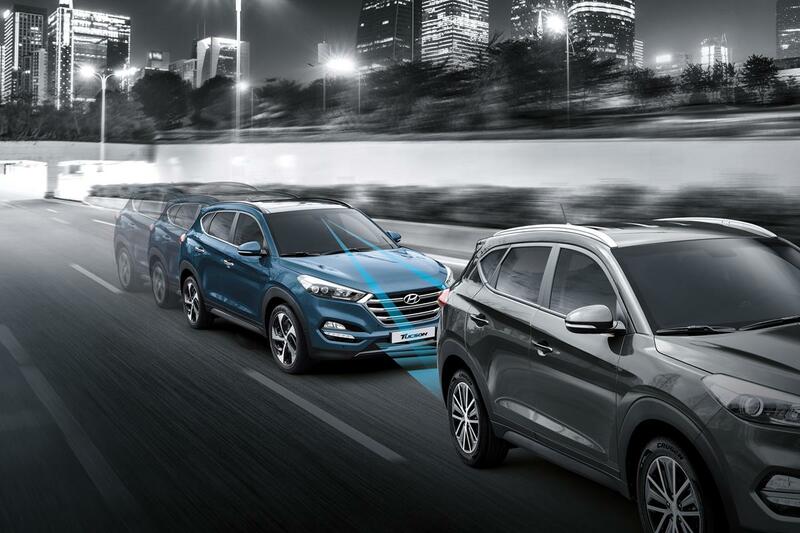 The seven-speed dual-clutch transmission offered in the 2016 Hyundai Tucson is a first-in-segment. This same transmission is featured in the 2015 Sonata, which we will review soon, and was developed entirely in-house at Hyundai. Going with that DCT is a new all-wheel drive system developed to go with this powertrain. This AWD is relatively standard in most situations, but includes a differential torque split option that can be driver-selected to allow differentiated torque splitting between front and rear axles. Adding to this is a new Active Cornering Control system that transfers torque to the wheels with the most traction and which adds braking to the inside rear wheel in corners, minimizing oversteer and giving a torque-vectoring effect. 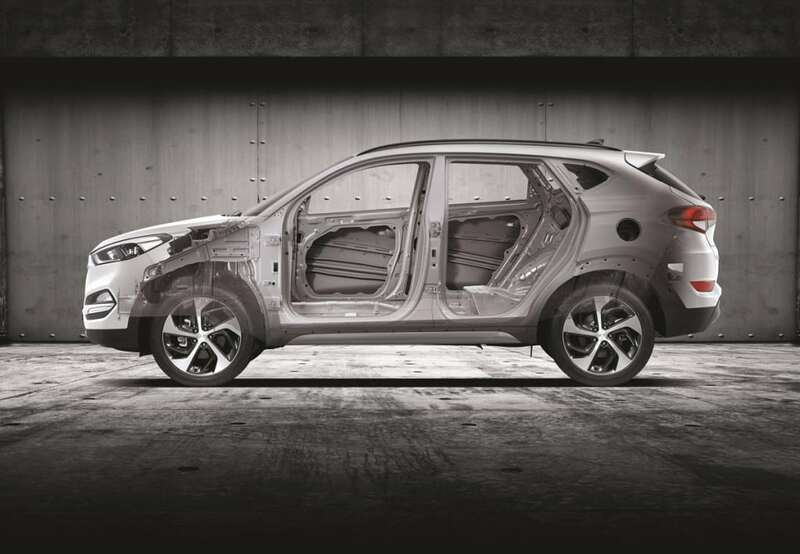 This makes cornering in the 2016 Tucson very tight despite its higher ride height and wider body as a crossover. Finally, this transmission and AWD system also include Hillstart Assist and Downhill Brake Control for sharp inclines/declines. To improve the chassis and lower noise, vibration and harshness, Hyundai went to great lengths to upgrade engineering for the Tucson. The chassis sees a higher stiffness level thanks to increased use of high-strength steel, the addition of stiffening points and welds, and more use of structural adhesives. In addition to this, changes to aerodynamics and mountings also aid noise level dampening. 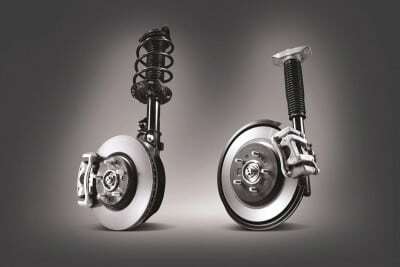 Engine mounts are larger, absorbing more of the engine’s vibration. 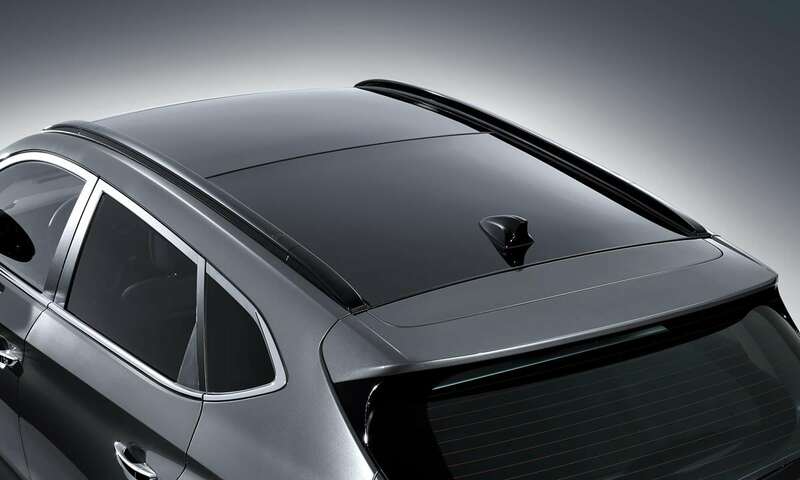 Rear cross-members are now bushing-mounted rather than direct and sound insulation materials have been added in the inner fenders, underbody, instrument panel, and transmission tunnel. It’s also been added to all cabin pillars. 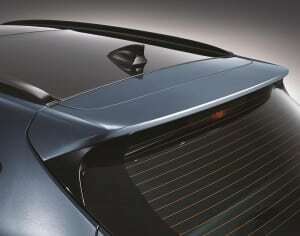 Door latch mechanisms were refined to reduce vibration on the road as well. Aerodynamics improvements lower wind noise in the cabin and improve fuel economy. 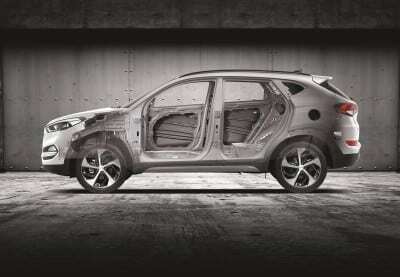 The new coefficient of drag (Cd) for the 2016 Tucson is 0.33, about 0.02 better than the previous generation. This was achieved through improved underbody channeling, the addition of side trim to the rear spoiler (see right), and a design change in the A-pillar. Several things come to the small crossover segment courtesy of the 2016 Hyundai Tucson. 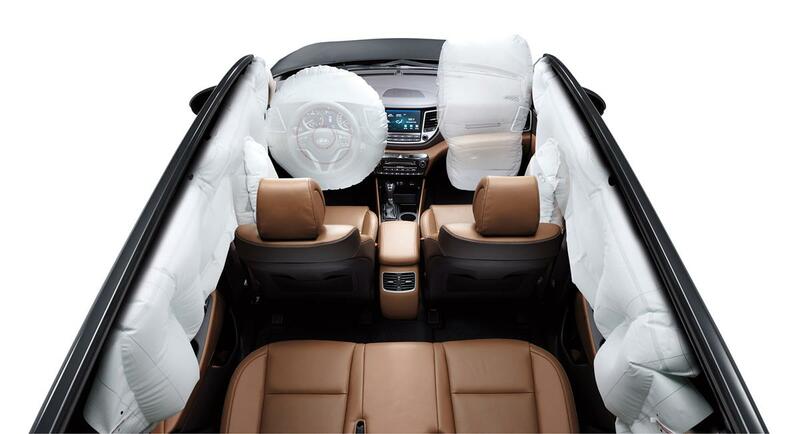 These include optional ventilated front seats and YES Essentials stain-resistant fabric treatment. New additions for the Tucson include LED headlights and DTRLs, HID headlights with Dynamic Bending Light for cornering, LED map lights, individual tire monitoring, a power passenger seat, and heated rear seats. Color options include six all-new colors: Chromium Silver, Coliseum Gray, Ruby Wine, Mojave Sand, Sedona Sunset, and Caribbean Blue. Winter White and Ash Black carry over from last year. Interior color options include black cloth, beige and gray cloth, black leather, or beige leather. The 2016 Hyundai Tucson enters showrooms shortly and will be available in four trim levels in front-wheel or all-wheel drive. 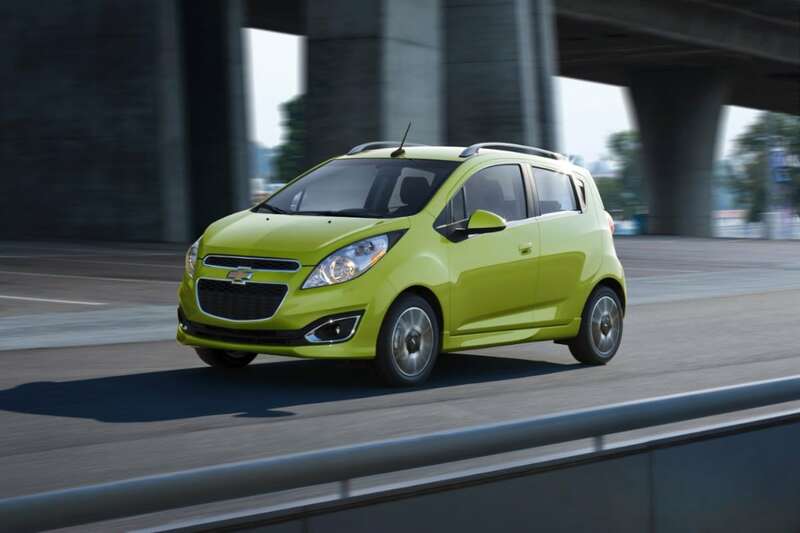 The SE model has a 2.0-liter four-cylinder and six-speed automatic transmission as standard. It starts at $22,700 and jumps to $24,100 for the AWD option. 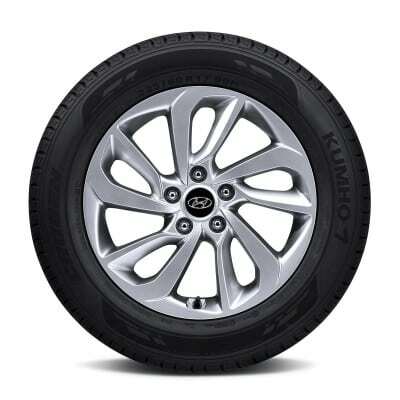 The Eco model includes the 1.6-liter turbo and seven-speed dual-clutch automatic starting at $24,150 for FWD and $25,550 for AWD. The Sport model also includes the 1.6L and seven-speed auto starting at $26,150 and going to $27,550 for AWD. The Limited model has the 1.6L turbo and seven-speed auto starting at $29,900 and going to $31,300 in AWD. A PDF of the full specifications can be seen at this link.